An experienced property management company has seen thousands of applications and knows how to quickly dig for the real facts about candidates and analyze that information for warning signs. By allowing a management company to handle the screening, you will also be shielding yourself from rental scams directed at owners, and discrimination lawsuits resulting from an inconsistent screening process. This kind of experience takes time, and insomuch as it means avoiding bad tenants, scams and lawsuits it is arguably one of the most significant benefits a property management company will provide. Avoiding a single law suit can more than pay for the property management fees, and spare you time and anguish. Improve and prepare the property for rent – A property manager will suggest and oversee cosmetic improvements that maximize revenue. Determine the best rent rate – Too high and you are stuck waiting, to low and you’re losing money every month the tenant is in the unit. Determining the optimal price requires knowledge of the local market, data on recently sold comparables, and access to rental rate tools. Effectively market your property – An experienced property management company has written hundreds of ads and understands what to say and where advertise in order to get a larger pool of candidates in a shorter period of time. Additionally because of their volume they can usually negotiate cheaper advertising rates both online and offline. Lastly, they are familiar with sales and know how to close when they field calls from prospects and take them on showings. A good property management company will have a time-tested tenant retention policy that ensures happy tenants with lengthy stays in your properties. These kinds of programs require a consistent, systematic approach, which is where a good property management company will shine. The way you handle rent collection and late payments can be the difference between success and failure as a landlord. Collecting rent on time every month is the only way to maintain consistent cash-flow, and your tenants need to understand this is not negotiable. By hiring a property manager, you put a buffer between yourself and the tenant, and allow them to be the bad guy who has to listen to excuses, chase down rent, and when necessary, evict the person living in your property. If you let them, your tenants will walk all over you. They have to be trained to follow every part of the lease or deal with the consequences. Property managers have an advantage because tenants realize that they, unlike the owner, are only doing their job and are obligated to enforce the lease terms. Many property managers will tell you that it is considerably easier to manage other people’s units rather than their own for this reason. Regarding evictions, there are strict laws concerning the eviction process, and doing it wrong, or trying to evict a “professional tenant” can be a MAJOR fiasco. A good property management firm knows the law and has a good process for obtaining the best possible outcome given the circumstances. 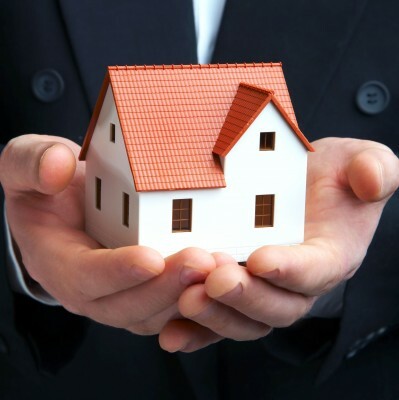 Never having to handle another eviction can be a compelling reason to consider hiring a property management company. Good maintenance and repairs keep tenants happy and preserve the value of your investment which make them a very important part of land-lording. By hiring a management firm you gain access to both their in-house maintenance staff, as well as their network of licensed, bonded and insured contractors who have already been vetted for good pricing and quality work. This can translate into significant savings compared to going through the yellow pages and hiring a handyman yourself. Not only is the firm able to get volume discounts on the work, they also know the contractors and understand maintenance issues such that they are capable of intelligently supervising the work. Preventative maintenance is achieved through putting systems in place that catch and deal with maintenance and repair issues early on, before they grow into larger more costly problems. This requires a written maintenance check program, detailed maintenance documentation and regular maintenance visits. The management firm can also offer you suggestions and feedback on upgrades and modifications, both how they will affect the rent you can charge, as well as their impact on maintenance and insurance. Less stress – Avoid having to deal with middle of the night emergencies, chasing down rent, evicting people from your property, tenants who wreck your property, rental scams, lousy vendors, piles of paperwork. More freedom – Live and invest wherever you want with the constraint of needing to be near your properties. Additionally you can live and travel without the requirement of always being available in the event that your tenants have a need you have to tend to. Once you have found a good management company, it doesn’t matter if you live in the same state. Some landlords live in other countries and simply collect their check every month without ever seeing the property. Free up more of your time – Time is money, and for many investors, their time can be more profitably spent in areas other than servicing their properties. When you focus on asset management you’re working ON your business, when you manage your own properties you work IN it. Additionally you have more time to spend with family or friends doing things you enjoy. Of course, this is an ideal scenario. These results can only be expected if a management company is competent, trustworthy and a good fit for your property. A poor choice of a management company can produce many headaches of its own.